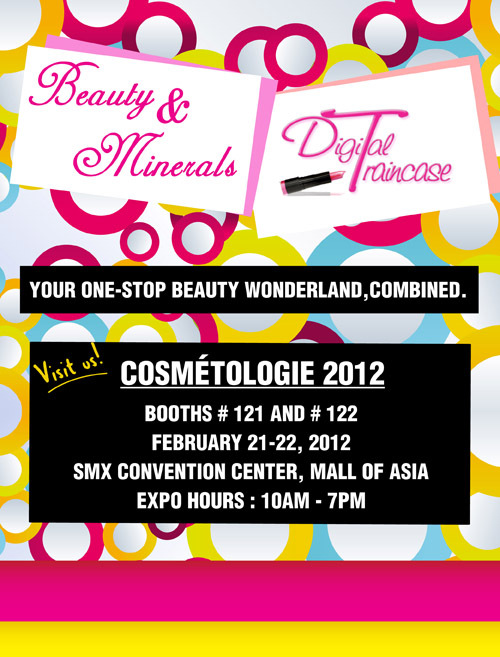 Who's excited for Cosmetologie 2012? I'm actually going but it will be a bit too late and I won't be able to fully enjoy the whole 2 days of fun and activities! But just because I will be there late and enjoy a teeny part of it, it doesn't mean that you shouldn't! Go and enjoy beauty products sold right in front of you with special discounts! A couple of brands managed by my blogger friends will always be there! 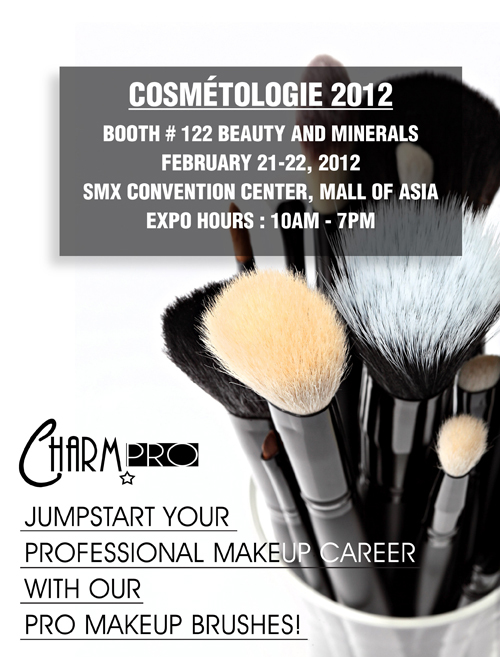 Charm Pro and Charm Essentials makeup brushes will be there available in the flesh wood, ferule and hair! You can finally check them out yourself and see whether I am telling the truth when I say these brushes are definitely made with care and quality! Very special prices and deals only available for these 2 days! 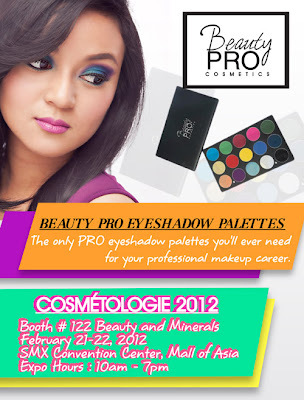 Beauty Pro Cosmetics Eyeshadow Palettes will also be sold on the same booth for less the retail price because..they understand how we value the money we earn and if you have been long planning to purchase this..then Cosmetologie 2012 will be the perfect timing! I have used the said palettes on clients and I'm happy with them! 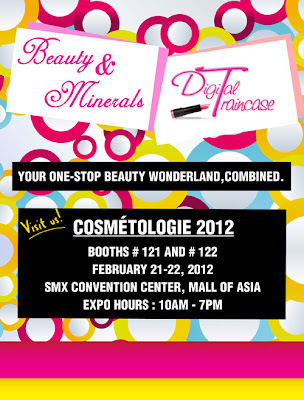 Are you joining this year's Cosmetologie event? i hope i can get that one too. im wishing. hope so..